Operation: Initiative follows successes in Peterhead and Fraserburgh (file pic). More than 2000 people have been charged in relation to drug offences in north Aberdeenshire over the last year. Since September 2017, officers have identified more than 100 people in Fraserburgh and Peterhead who were victims of "cuckooing", which occurs when dealers use their homes to distribute drugs. Operation Corner took a multi-agency approach towards tackling organised crime, with many victims who were identified now receiving support for substance misuse. 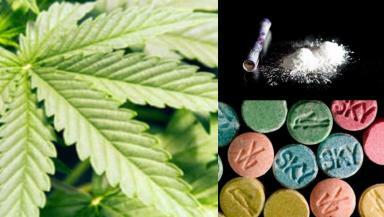 Official figures show more than 2100 people were charged in relation to drug offences in the last year. On Monday, Police Scotland announced a pilot scheme, designed to replicate the success of Operation Corner, has now been launched in Aberdeen. Detective chief inspector Lorna Ferguson said: "Tackling drug misuse is not just about the police putting doors in and executing warrants - whilst this is an important part of disrupting the supply, we must also address the wider issues that bring about drug abuse in the first place and it is crucial we work with our partners to provide the 'wrap around' support to those who need and want it. "During Operation Corner we focused on the activities of those involved in serious and organised crime at all levels, particularly those who were travelling to the north-east to exploit vulnerable people living in Peterhead and Fraserburgh for their own financial gain. "Cuckooing or 'county lines' may not be new concepts but we were hearing from both communities that illegal drug activity was affecting their quality of life and increased activity was required to tackle this unwanted behaviour." She added: "As a result of this action we identified a number of people as victims of cuckooing, with many of them requesting a referral to substance misuse services. "Thanks to the success of the work ongoing in north Aberdeenshire and through Operation Corner, a multi-agency pilot scheme is currently being implemented in Aberdeen starting in the Seaton and Tillydrone areas to provide similar support. "Initiatives like this are intelligence-led which allows us to target the right resources to the right places at the right times. In the past year a total of 2114 people were charged in connection with drug crimes and we can only do this with support from the public." Aberdeen City Council co-leader Jenny Laing said: "Aberdeen City Council recognises the impact that drug dealing can have in communities and where residents are being exploited by organised crime groups for cuckooing, we are committed to working with our partners to deal with this robustly. "We will ensure that vulnerable individuals and communities get the support they need to increase their safety." Fraser Hoggan, of Alcohol and Drugs Action, said: "Many of the people we support have complex physical or mental needs, making them vulnerable to those who seek to exploit their situation. "Cuckooing is exploitation and harmful, on a number of fronts, to those targeted by these organised criminals. "We owe it to our clients to spread awareness of this problem here in the north-east of Scotland, to encourage them to pass on information they may be aware of to the authorities and support the efforts of the police and other organisations to tackle the problem at its core."